Undoubtedly the hottest horror movie to hit the big screen in a long time, there is a near-audible buzz surrounding A24’s new film, Hereditary! 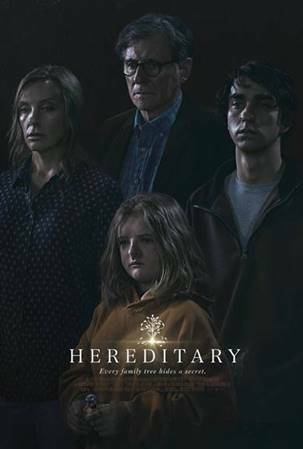 From writer/director Ari Aster, Hereditary stars Toni Collette, Alex Wolff, Milly Shapiro, Ann Dowd, Gabriel Byrne. YOU CAN WIN a prize pack including movie passes to see what critics are calling the Best Horror Movie of 2018! The lucky winner will receive a prize pack and movie passes valid at any Harkins in the Valley. These passes are valid beginning Monday, June 11 through the film’s run of engagement. Tickets are for a movie theater in the Phoenix area. Prize pack must be picked up at the Bookmans Phoenix store. To enter, answer this question: Which horror movie scared you most of all? COMMENT WITH YOUR ANSWER BELOW! One comment per entrant. Comments do not immediately go live but require approval. There is no need to post more than once. The winner will be notified by Wednesday, June 6th! Hostel made me never want to vacation in Europe! Scared the crap out of me because there are sick people in the world. Nightmare on Elm Street. Nothing has topped it yet.